Product Quality | Parkway Metal Products, Inc.
Quality means - living and breathing a culture of engagement.. Product quality goes beyond our company, it is passed to our specialized industries. Knowing the requirements and understanding our partnered clients vision is what sets us apart. 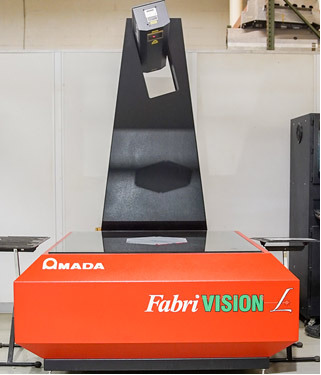 Our certified technicians have the required expertise that advanced industries trust. The personnel at Parkway Metal Products, Inc. dedicate themselves to clients in the matters of outstanding service and quality. 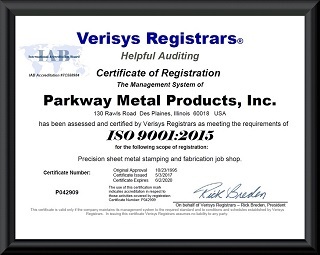 Parkway Metal Products, Inc. holds ISO 9001 Certification - the highest standard in quality management of sheet metal fabrication and stamping. 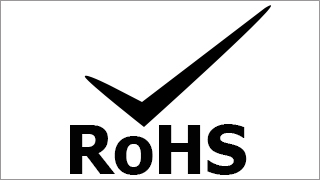 With a substantial base of customers and thousands of parts, we can NOT review all of them against RoHS standards. It is the Customer’s responsibility to design and specify RoHS complaint requirements. 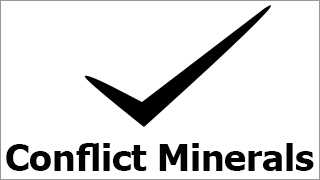 Parkway’s suppliers are expected to supply materials that are compliant with US Conflict Minerals Law. 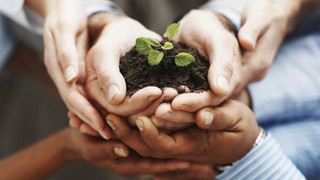 Our corporate responsibility is not only to our clients, but to our community. Parkway Metal Products, Inc. ensures a commitment to sustainable profitability, striving to inspire and develop employees, ensuring highest standards of excellence in business practices to protect the environment, give back to the community and have a safe and enjoyable working environment.